Gallery walls are exceptionally beautiful but have so much potential to look off or go wrong with all the items and photos you’re trying to get up on the wall. While everybody else may be addressing the picture racks, some people may think back to a lovely ancient gallery wall. 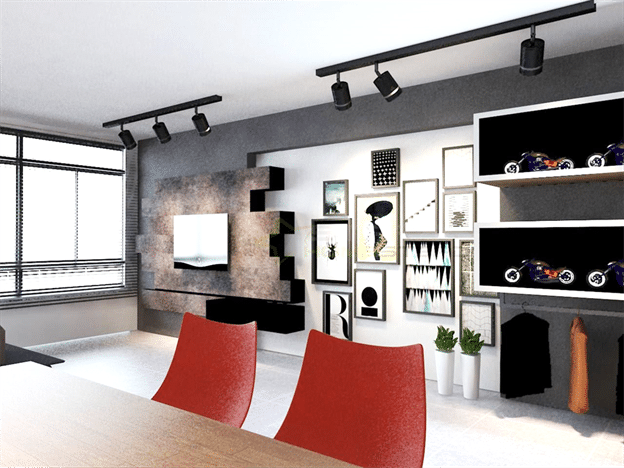 Gallery walls give you a more artistic choice for wall design as all the frames hang even against the wall. There are lots of countless choices for modern gallery wall pieces that inspire you to deliberate outer the frame. So while you’re collecting your family photos in modern frames, take a look at some inspiring modern gallery wall ideas. 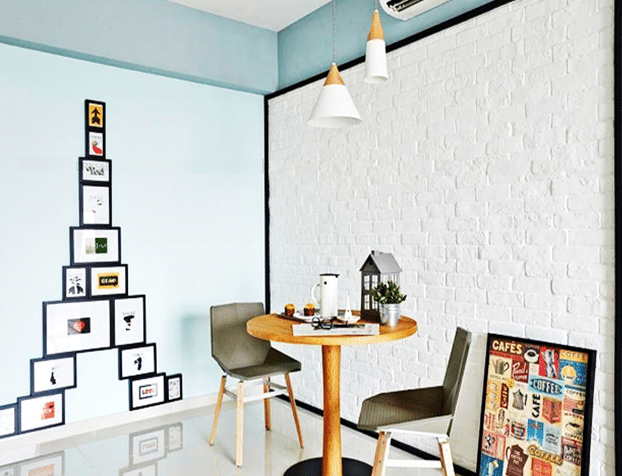 Install an attractive gallery wall by placing the wall hanging frames in different collage styles, make your minimal wall a big statement by adding lovely family photos, which can really bring an affectionate feature to the place. 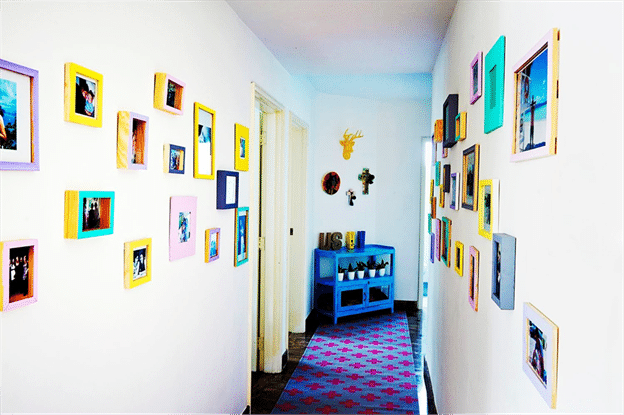 Make a creative gallery wall at your corridor, the uneven spread of colorful photo frames can add unique and colorfully bright ambience to the place, consider this unique gallery wall design for your home. 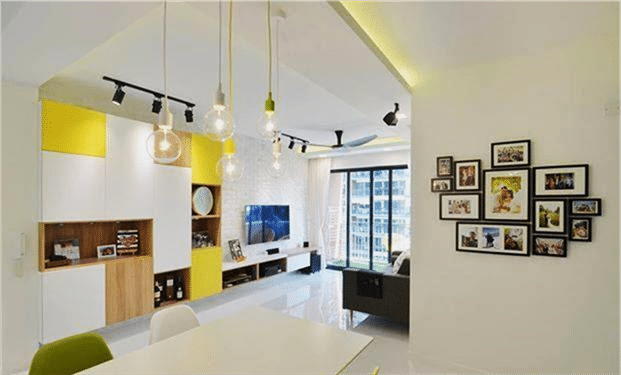 Make an artistic arrangement of frames as shown in the above picture designed by Dan’s Workshop Pte Ltd, the beautiful pyramid style of wall hanging makes this place unique and stylish, this makes a cool coffee nook which you must consider for your home. 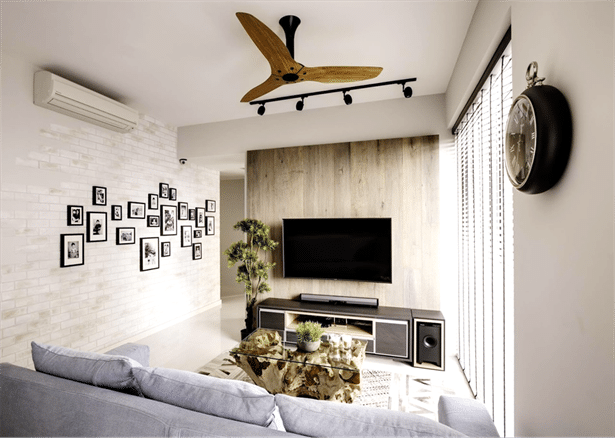 Consider this charming gallery wall for your home which truly complements the TV-Unit wall, the artistic photo frames can give a unique artistic statement to your home. The gallery wall designs can really give your home a flawless look. The family photo black frames can give an artistic statement to your home.